Today I was in San Diego to visit with my father while he has knee-replacement surgery. The doctor said that the total time I’d have to wait would be around four hours, so I brought my bike along. I figured that I’d have my phone along, and riding would be more entertaining than sitting in the hospital waiting room, doing the a jigsaw puzzle with missing pieces. Besides, I lived in San Diego for a year in 1984-85, and I was curious to see how much it had changed since then. 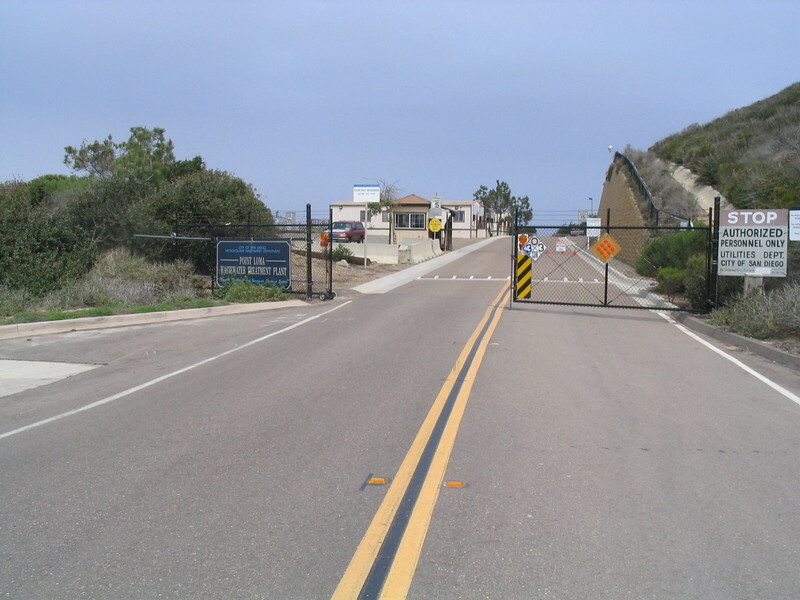 I started out from Thornton Hospital and rode up La Jolla Village Drive to get to Torrey Pines Road. Then I rode down the hill into La Jolla. 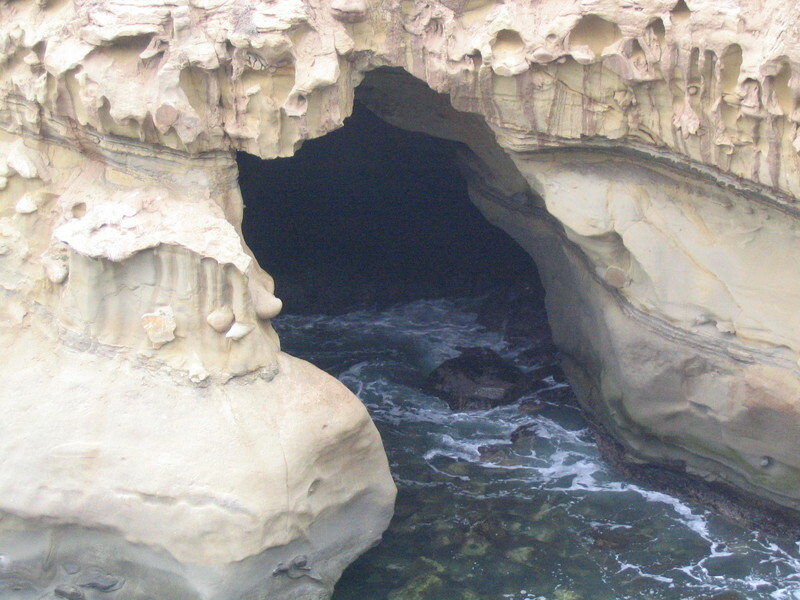 I used to just ride straight through downtown La Jolla, but today I took the scenic route by the cove. 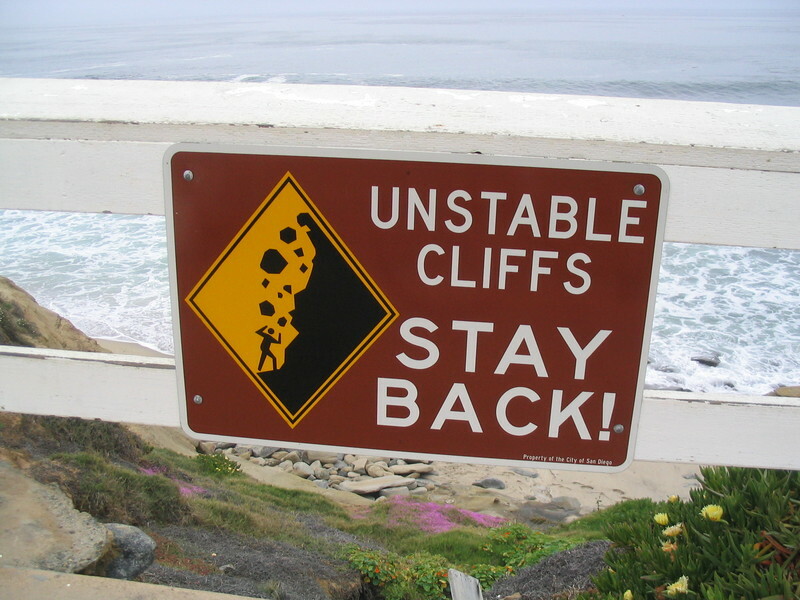 I saw a big sea cave, lots of seals lounging on a beach, and another ’stick-man in peril’ warning sign. That was all amusing. Heading straight down the coast on Mission Blvd, I went through Pacific Beach, which was where I used to live. 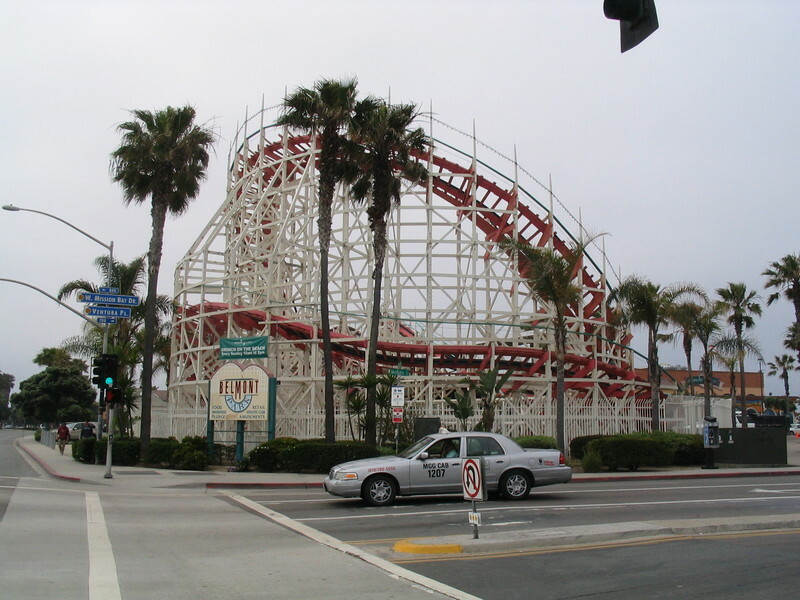 Then down through Mission Beach to the roller coaster. Back in 1984, it was shut down and falling apart, and a campaign was just starting to renovate it. Apparently they succeeded. The coaster was fixed up and had a new coat of paint, and it’s running again. 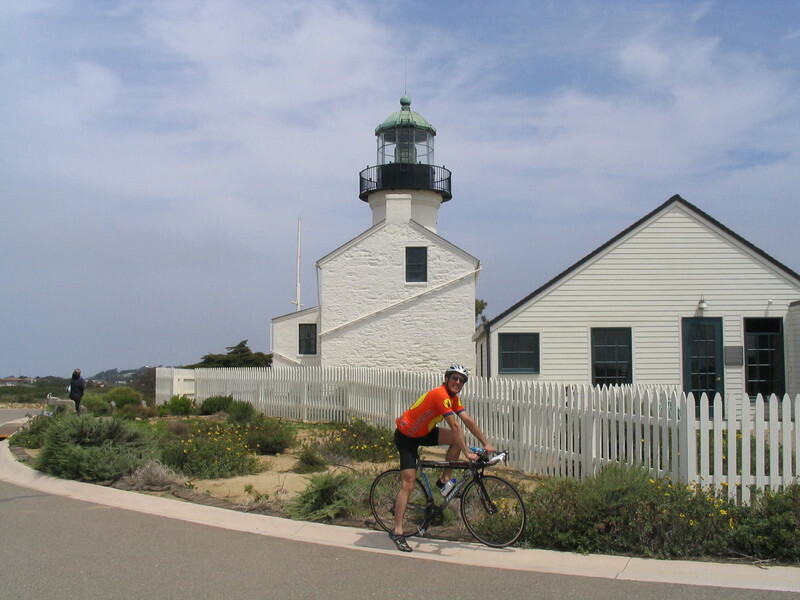 Next, I rode across the mouth of Mission Bay on Sunset Cliffs to get to Ocean Beach, and then up a hill to Catalina Blvd for the ride out to Point Loma and Cabrillo National Monument. 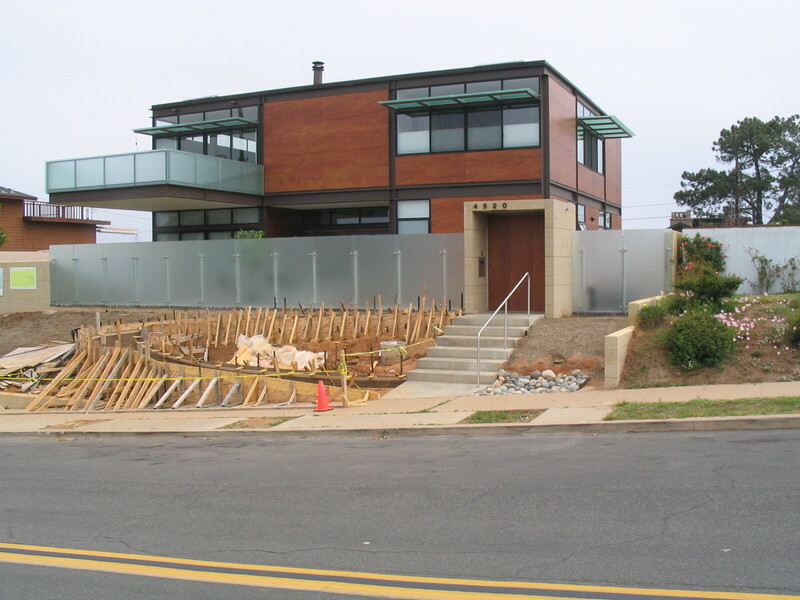 On the way up the hill, I took a picture of a very striking house with the largest cantilevered balcony I’ve ever seen. The road out to Point Loma is quite nice. About the only bad thing about it is that it goes through a Navy installation, and they insist on closing the gate at 5:00 every day. That was my pet peeve with living in San Diego. It seemed like everywhere I went, there were gates that said “Restricted Area” on Navy installations. So I rode out to Point Loma. I used to just go to the lighthouse and get a drink, but I thought I’d sightsee a bit. So I rode down the hill on the ocean side to see the tide pools. At the bottom, I met another guy who was also out riding, so we rode out to the end of the road, which ends at the gate of the sewage treatment plant. It was kind of refreshing to see a “Restricted Area” that had nothing to do with the Navy. Back up at the top of the hill, I got a souvenir picture in front of the lighthouse. 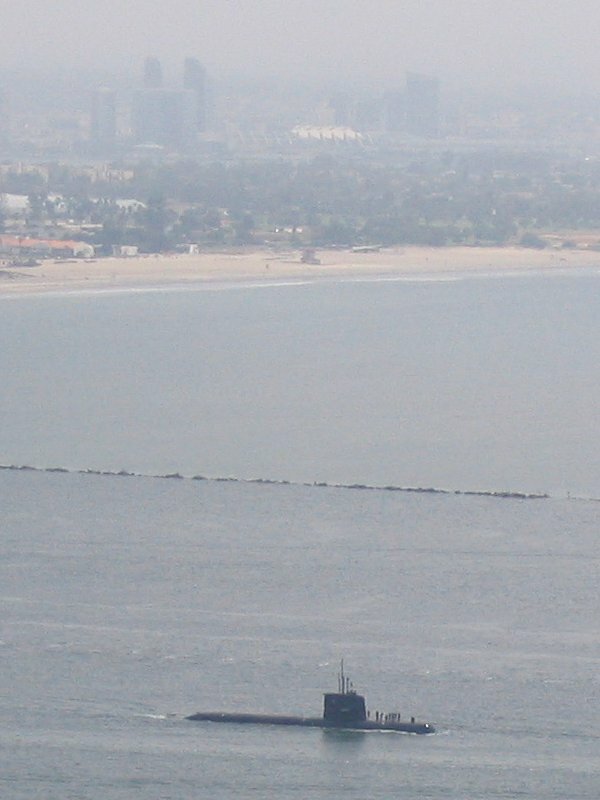 I also got a picture of a submarine cruising out of San Diego Bay. I remembered walking along the downtown waterfront. They used to have coin-operated binoculars there, and I always thought that they should have had slots for ruble coins for the convenience of the KGB agents who were no doubt there. Then we rode back down Catalina back into the city. We took a short ride on Nimitz Blvd, which sort of summed up my impression of riding in San Diego. A lot of the bigger streets are like riding on the freeway, and it’s not a Freeway of Love. We split up again by Sea World, and I headed up the east side of Mission Bay. This part of the ride was quite pleasant. 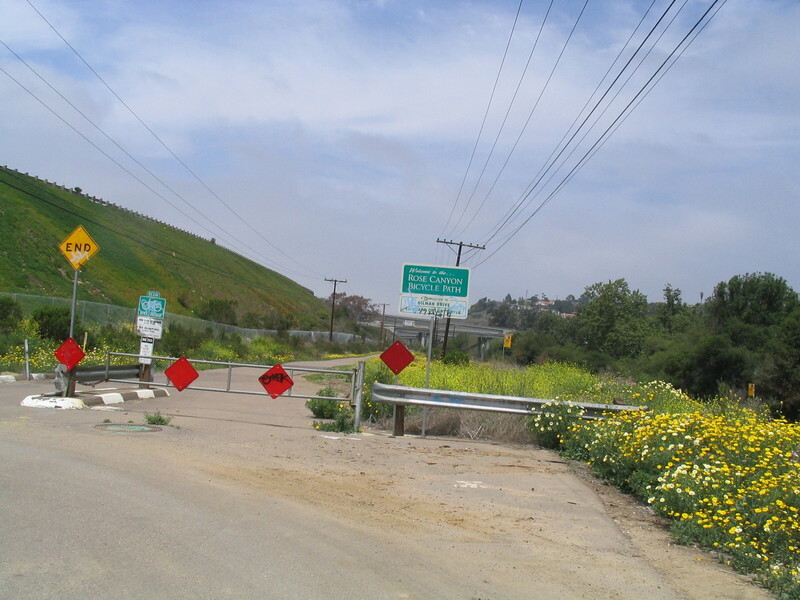 I rode up back to Pacific Beach and the got on Santa Fe St, which goes up the east side of the 5 freeway to the Rose Canyon bike path. The bike path was pretty nice, and it bought me up to La Jolla Colony. 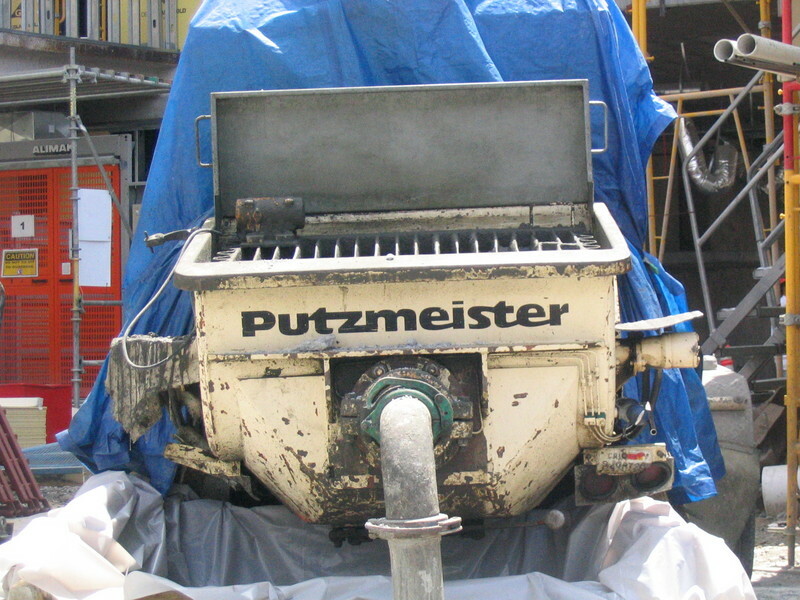 I stopped at a construction site for a picture of a machine called the “Putzmeister“. I thought this was funny name. Then I took a few other streets and came out on Regents Road, which bought me back to the hospital in time to change and have lunch. Then I went back in and got to my father’s room just before they brought him in from recovery. Oh wow. 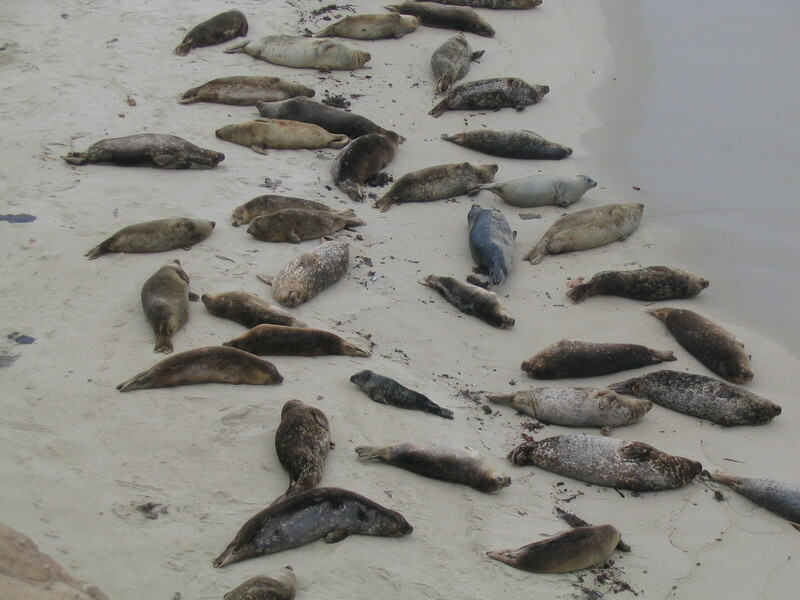 That seal pic is something else.